Jim Gordon - Custom POP! As the popularity of Funko's POP! figures continue to grow, some collectors with the talent and the means use these figures to create custom characters of their own. Collector and artist Jim Gordon created his own Mister Rogers POP! Who created this custom? Funko or fans? My sister and I created the custom. We used an existing production piece made by Funko as the base for the figure. We then made our modifications to the piece to create what we feel was a good representation of Mister Rogers in POP! form. Is this available in stores? If not, will it be? No. This isn't a production piece made by Funko and therefore isn't sold in stores by Funko. Can I buy this custom Mister Rogers? Sorry to say but we only made one custom Mister Rogers and he is for my personal collection. I can't say that another person wouldn't make a similar custom and sell it on eBay but the one featured here is not for sale. Why a Mister Rogers custom? Why not, lol!!! Funko makes an amazing line-up of POP! figures. Many of which trigger the little kid in us, adults and bring back great memories of our childhood. Being that Funko can only produce figures for the items they have licenses with, it opens the doors for others to create customs of figures not produced by Funko. For my sister and I, Mister Rogers was a very big part of our childhood and I wanted him to be a piece in my collection. 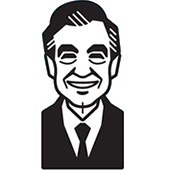 Fred Rogers was an amazing man and it's awesome that what he created years ago is still enjoyed by people today. The first official Mister Rogers Funko POP! figures were released in 2018.